Ah, Mister Bond. I’ve been expecting you. It was with great anticipation that I started William Boyd’s Solo, the latest in a longer-than-you’d-think list of post-Fleming Bond stories. It follows on chronologically from The Man With the Golden Gun, and is set in 1969. So we find Bond celebrating his birthday as a 45 year-old veteran spy, sent on a mission to the fictional country of Zanzarim in West Africa. Boyd captures Fleming’s Bond pretty well, I thought. There are fast cars, exotic locales, beautiful women and an awful lot of martinis and good food along the way. It’s definitely a book of two halves though, and is rather let down in the second act which felt a little rushed and too neatly wrapped up. We spent a decent amount of time in Zanzarim setting up the plot and the action there is great, though some of the later revelations were telegraphed fairly early on. Enjoyable stuff, with Bond in-country, doing his Bond thing as only Bond can. Once the action switches to the US though, it rather falls over a bit. An old school chum is shoe-horned into the story, Bond does some detective work on his own recognisance, wraps things up rather too quickly and all of a sudden, we’re done. I’d hoped for more. That said at least some of the villains were suitably villainous, with suitably Bond Villain-esqe quirks (what is it with Bond villains and dodgy eyes?) , the atmosphere was well done, especially in the African parts, and it’s always nice to see Mister Bond in action. It could have done with a little more danger and excitement along the way though. 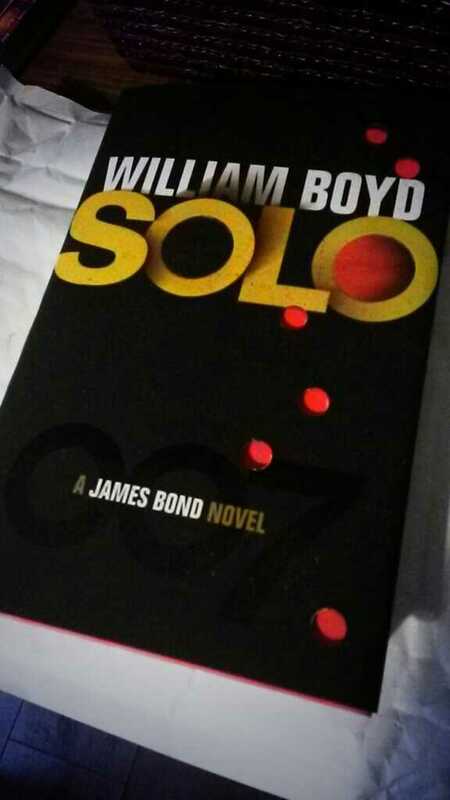 If you’re a Bond fan, worth a read, but unlikely to make any new converts. There are better post-Fleming Bonds out there. Oh, and whatever you do, don’t read the wikipedia page on the list of Bond novels as it contains a massive spoiler. You’ll work it out yourself as you’re reading the book! that said, I was a little disconcerted to find Bond’s ‘secret recipe’ for his vinaigrette added as a footnote in one chapter. I’ve only ever read one bond book – Devil May Care by Sebastian Faulks – I hear it got pretty much slated, but I loved it. I’d recommend trying the Fleming books – certainly the first few. Casino Royale is nice & short & punchy.